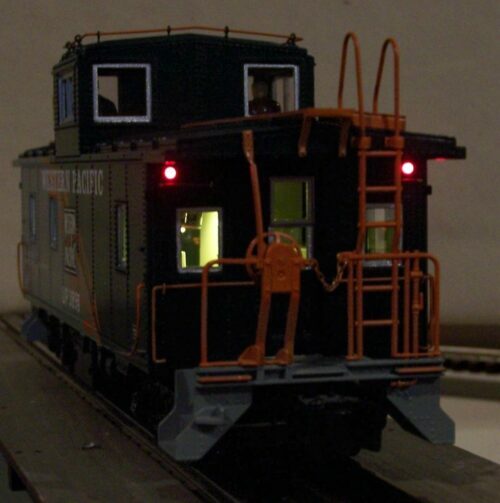 O Gauge LED Lighting for cabooses and special cars. 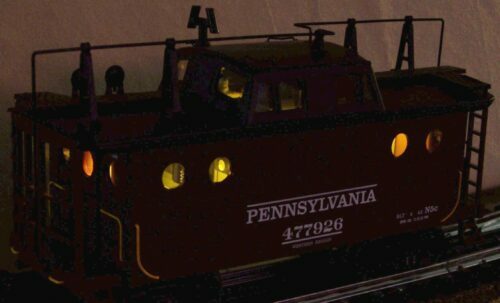 This LED Lighting Board is designed for all O Gauge Cabooses (with/without interiors), other short cars, and post-war passenger cars. In essence any application with at least 5″ interior space. May not fit in some bobber cabooses (with have another option for those). This LED board will also fit in American Flyer passenger cars when operating on AC or DC.